This is a piece of agglomerated soot from an large plumbing warehouse fire. The glass fiber in this image (diagonal from lower left to upper right center) in glass fiber blanket insulation with a pink phenolic resin with low mineral filler content (Johns Manville pink). 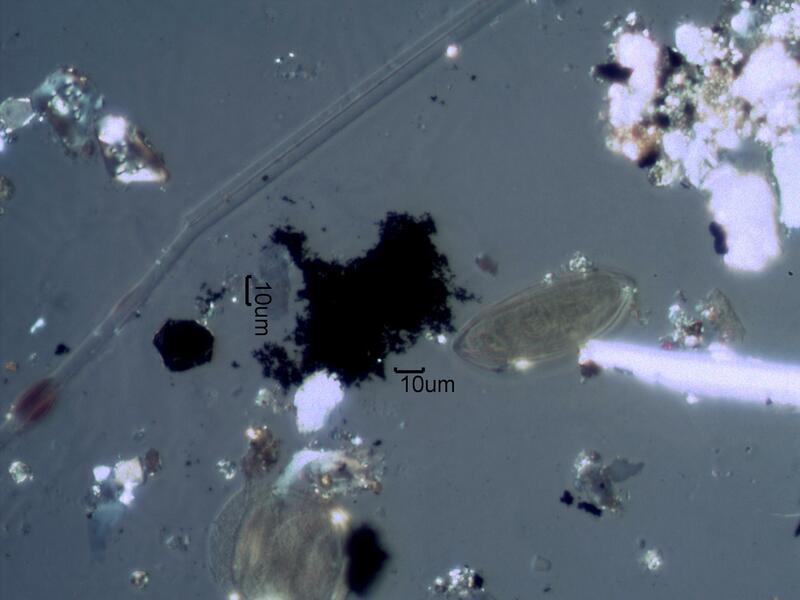 The particle in the upper right of the image is ash with some char from a highly mineral filled polymer. This was from an environmental tapelift collected in a home a few hundred meters (a little over 200 yards) away from the fire.